In this week’s WhoWhatWhy podcast, Yale history professor Timothy Snyder talks to Jeff Schechtman about what he sees as the very real possibility that our republic will go the way of history’s other failed democracies, like Athens or even the Weimar Republic. Both 1930s fascism and communism, Snyder warns, were responses to globalization and to rising inequality. We might be tempted to think that our democratic heritage automatically protects us from such threats, but he argues that this is a misguided reflex. Snyder cautions that our institutions, such as the courts, the free press and Congress, cannot alone preserve democratic principles against the ways of authoritarian rulers. In Snyder’s view only a certain set of rules for resistance might save us. Some of these include not being afraid to stand out, do not obey in advance, and be calm when the unthinkable arrives. Snyder is the author of On Tyranny: Twenty Lessons from the Twentieth Century. Indeed, we are living through complicated political times. A time when ideas like post-truth and alternative facts are seriously debated on the nightly news. A time when a private bodyguard of the President is sent to fire a member of the government, who was appropriately confirmed by the US Senate. A time when the press, the court and other institutions which support our separation of powers are under siege. But haven’t we been here before? From the earliest Alien and Sedition Acts through to the modern era and internment, McCarthyism and Nixon, we as individuals and as institutions have proven to be resilient. Sinclair Lewis is reported to have said that when fascism comes to America, it will come wrapped in a flag and carrying a cross. But to the extent that we’re aware of it, can we be protected from it? On Wall Street, four of the scariest words you can hear are: “This time, it’s different.” Today, we’re going to talk about how scary those four words can be, not on Wall Street, but in Washington. Joining me to talk about this is Timothy Snyder. He is the Levin professor of history at Yale University and it is my pleasure to welcome him here to talk about his new book: On Tyranny: 20 Lessons from the 20th Century. Timothy Snyder, thanks so much for joining us. Timothy Snyder: Very glad to be with you. Jeff Schechtman: As we look at the political landscape today, is there anything that is fundamentally different about the dangers that we face today that are fundamentally more powerful than dangers that we have faced at other times as a democracy and as a republic? Timothy Snyder: That’s a big question, let me take it from the other end. I think that the dominant American tendency is to imagine that whatever history is throwing at us, we’re ready for it because of who we are. What I’m trying to do in the book is to turn that around and to say that the people who founded our republic saw the world in the opposite way. The people who founded our republic were very skeptical about human nature and used the examples that they knew, which were classical examples to demonstrate that democracies and republics usually fail, usually fall into oligarchy or into an empire and they gave us the institutions that we have; flawed, though they were, flawed though they remain in order to go against the tendency of humans to lapse. What I’ve been trying to do in the book is go through the 20th century, go through the examples that the founders couldn’t have known and try to show how modern attempts to create republics and democracies have often failed and I do that as a gesture towards us to say look, the people in Czechoslovakia in 1948 who saw a Communist coup and the people of Germany in 1933 who saw the rise of Hitler were really not so different from us. Some of their institutions were actually not so different from ours and in some respects, they were probably better than we. They certainly had longer attention spans and in the case of Germany, a better press. What’s different and what’s the same? I think what’s largely similar with the 20th century is globalization failure. There was a first globalization in the 19th and 20th century, which had its opponents, had its contradictions and which ended up in a First World War, Great Depression and a Second World War. We had a second globalization in the late 20th century, which has now generated its own contradictions, its own inequalities, its own opponents and for me to question is so that we can learn enough from the 20th century, they’ve been trying to head these things off. The big difference for me would be how people think about the future. The grand opponents of liberalism, democracy, republics in the early 20th century are people who had a very clear idea of an alternative, whether that was communism or whether that was fascism and when they would have factuality, it was the name of these grand alternatives. Fascists said your daily experience doesn’t matter because the only thing that matters is your collective experience with the larger group. Communists said that your daily experience doesn’t matter because what matters is the vision of the future. What’s different today and is threatening in a different way is that the people who are trying to destroy democracy or have destroyed democracy, whether it’s Russia, or America or elsewhere, go after the truth without a vision of the future. They just say I have my facts, you have your facts and maybe at the end of the day, nothing is really true and then that means that we can’t really trust each other, which means that democracy becomes impossible in the long run and it means resistance becomes impossible in the short run. Jeff Schechtman: That seems to be a fundamental part of the question, whether or not there is no vision of the future or that the vision of the future is so divided, is so different, that that’s a fundamental part of the problem. Timothy Snyder: I think that if you want to see really specific about the people living in the United States right now, I think they have a vision of the future and it’s a vision of the future in which people named Trump and Kushner have an enormous amount of wealth and other people don’t. That’s not a vision of the future that you can really sell. I think if you want to be a nepotist and a kleptocrat and a post-modern authoritarian, the way you deal with time is not by generating a big, glorious vision of the future, whether it’s of national collectivity or whether it’s of class collectivity like in the past. I think what you do instead is you turn time into a kind of spiral, or kind of cycle where you talk about “making America great again”, or you go back to the 1930s and talk about “America first”. You imagine some kind of pass where everything was fine and then you claim that the reason why everything is not fine now has to do with external enemies, some of whom are in or midst and that the immediate task then becomes getting out those external enemies that we can get our hands on. That creates a different style of time because it stops us, or it’s meant to stop us from thinking about reform, from thinking about how we could be better or how the country could be better. It’s meant to make us concentrate on these supposed threats, which are so great, so threatening to our way of life supposedly that we forget what that way of life is supposed to be. So, I think rather than giving us a vision of the future, because frankly I think their vision of the future is just that their grandchildren have tons of money, what they give us instead is a kind of cycle where we’re just supposed to be alarmed over and over again about enemies, external and internal. Jeff Schechtman: To what extent though, does this reflect a fundamental weakness in the body politic? This is not something that just happened overnight on the 9th of November 2016, that the circumstances that created this existed before that. Timothy Snyder: Oh, absolutely. First, give credit where credit is due. Mr. Trump has certain talents which allowed him to take advantage of this historical moment. One of them is his talent for public speaking. Another is his complete national nihilism, which means his willingness to cooperate, or at least accept the help of foreign powers in becoming the president of the United States. I think there are relatively few other people who would have done that with no stirring of conscience. So, he has certain assets but yeah, there are things about the moment which make this possible. One of them, again playing to Mr. Trump’s strengths, with the way that we in immediate and public life allowed politics to blur into entertainment such that someone who is basically a reality television performer could run for the President of the United States without us really noticing. The reason he outcrossed his Republican opponents is that he treated the whole thing as a television show and the people in television business thought this was great because ratings went up and we didn’t start to get critical about it, at least most of us until very, very late in the day, when we realized that television was going to become reality. Another underlying trend, which I think is only becoming apparent now is the way in which the Internet is more important than three-dimensional life, for lack of a better word. This is anecdotal, I can’t prove it but in my experience, talking to people in the Midwest before the elections is really the first time that I felt like people were going to go out and do something in the real world, pull a lever in a booth, elect a president based mainly on things that they were getting from very personalized, silo-ized feeds in the Internet. That’s different and we really haven’t gotten our minds around that. But then, there’s just the basic fact of inequality. Somebody like Mr. Trump is only plausible in a situation where there is extreme inequality because he can say look, it’s unfair, it’s rigged and therefore you need someone like me, a tough guy, a guy with lots of money, another oligarch to shake things up and to fix the system. Of course, that claim is bogus in all kinds of ways but it only works when people feel like the system is broken because they’re aware that there’s great inequality. Of course, there is enormous inequality and that’s a fundamental problem. Jeff Schechtman: Where is the analogy, as we look at how that’s playing out, the politics and entertainment and the various points that you’ve just made to looking at other late staged democracies and late staged republics that have fallen apart in similar kinds of situations? Timothy Snyder: Let me give an example from substance and an example from form. Whenever new communications technologies come around, people are very optimistic about them. People were optimistic about the printing press and sure the printing press gave us the enlightenment, but only after 150 years of religious warfare. People were very optimistic about radio and sure, radio gave us charming public radio programs like the kind we like today, but only after fascism. It’s not surprising that the Internet, rather than beating the simple path towards enlightenment, has had these twists and turns and led to unexpected and reactionary consequences. That’s happened before. So, that’s an example from form. An example from substance would be how Mr. Trump uses these various technologies. The way that he uses Twitter, or the way that he speaks live, for that matter is very redolent of the way that authoritarians and especially fascists in the ‘20s and ‘30s used language. The repetition of simple themes over and over again; the attempt to summon people into a kind of trans-light state where alternative reality is plausible. The specification of enemies inside the rally and also inside the country and then the physical, or metaphorical appeal to throw them out. These are all tendencies or habits, tactics which are very familiar from the 1920s and 1930s. Jeff Schechtman: I want to talk a little bit about our institutions and our faith seemingly right now, that our institutions will save us somehow, that the resiliency of those institutions, be it the courts or the press, will somehow be the saving grace of all this. Timothy Snyder: Yeah. We’re kind of in a funny position. We’re counting on the press to save the courts to save the civil servants to save the intelligence agencies to save the generals to save the kleptocrats to save us from the fascists. It’s not a pretty picture. I would say that we have to look first of all, at ourselves and ask ourselves what we’re saying when we say that the institutions will protect us. As someone who studies authoritarian regimes, what I notice is that those on the right and those on the left, if you’re trying to take apart a democratic regime, what you do is you pick off the institutions one after the other. A situation of pure revolution is actually very, very rare. What’s much more common is for someone who comes to power, very often through elections, or where there’s an election in the story, which is true for Hitler in ’32-’33, true for the Czechoslovakian communists – I just mentioned that because I used that in the book – in ’46-’47-’48 and then as you come to power, you try to pick off the institutions one by one. You go for the journalists first or you go for the Supreme Court first or you go for the Parliament or you go for an opposition party. Once you picked off one institution, then it’s all the easier to get the next institution. The story the institutions are going to save us is highly problematic because what you actually have to do is realize every institution which is important is automatically under threat and you have to be prepared to rally around any one of them and in the meantime, help one which you are particularly sympathetic to, or know something about, or feel particularly comfortable with. I see the institutions will protect us as a kind of mental reflex, which disperses our individual responsibility as citizens. At the very moment, we actually have to exercise that responsibility. 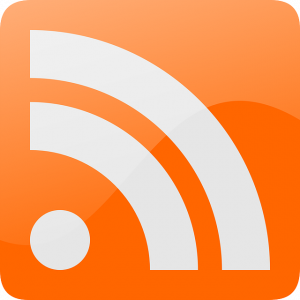 Jeff Schechtman: How much is that affected by all the noise that comes with that? One of the things you talk about is this idea of being calm when the unthinkable arrives, difficult in the atmosphere of the perpetual boiler factory that we seem to be living in today. Timothy Snyder: At least in the boiler factory, you work long hours but you got to go home at some point. Two different things here. One thing one hears a lot is “I’m tired, my friends are tired, we’ve been protesting, we’ve been doing things but now we’re tired.” That’s another thing that we’re not allowed to say. We’re not allowed to say that America is exceptional because that makes us unexceptional. We’re not allowed to say “it can’t happen here,” because that makes it happen here. We’re not allowed to say “the institutions will protect us,” because we can see the institutions. Another thing I think we’re just not allowed to say is “we’re tired.” It’s true that we’re bombarded with stuff all the time and it’s also true that this is part of how authoritarian takeovers work. You get bombarded with lots of bad news so that you feel alone, intimidated and you say, “well, what can I do, really?” The answer is that we can do a lot. It’s ironically in the beginning of an authoritarian regime change where individual actions matter the most because the regime usually can’t change without a fair amount of consent from below, which is why lesson number one in the book is: don’t obey in advance. The other part of your question, I think is distinct. The calm and the unthinkable arrives, is about a very specific set of circumstances. For regime change, you basically need two things, aside from people who want to change the regime, which I’m pretty confident we have in power now. The first, as we just were talking about was some degree of consent. If you can restrain yourself from consenting, you’re already doing a lot. Very often, the way that more consent is generated is by taking advantage of some kind of dramatic event, classically an act of terrorism. Hitler in February of 1933 takes advantage of a terrorist attack on the German Parliament to get a state of emergency declared, to suspend the civil rights of Germans; that’s basically the moment when the Weimer Republic ceases to exist and the Nazi regime is formed. That is, unfortunately a template; it’s an example. Modern tyrants are aware that they need and can use a certain amount of terrorism to affect regime changes of that kind, which is why towards the end of the book in several of the lessons, I urge us to be aware that there is a politics to all of this and to prepare ourselves so that when something that we regard as unthinkable does arrive like, god forbid, another major terrorist attack, we realize that there is a politics to all this and don’t let ourselves be drawn into the emotional cycle where we’re willing to give up our rights for what seems like a temporary moment. If there is a terrorist attack, what we have to defend will be our rights, because if you let them go at a moment like that, it’s very hard to get them back later on. Jeff Schechtman: Certainly, if we look at the country’s reaction post-9/11, one can’t be very optimistic about that. Timothy Snyder: Absolutely. 9/11 is a cautionary tale. We were attacked by one group of terrorists and we allowed ourselves to be persuaded to fight a war against an unrelated country which cost us enormous amounts of money; it led to American deaths and far more deaths of non-Americans, cost us our moral reputation and basically bled away, which was supposed to be the American century, into the sand and made terrorism more likely. So yeah, as you say 9/11 is very much a cautionary tale and we need to treat it as such. I think what we should do is to allow ourselves to be instructed by the extent to which many of us were willing to concede things in 9/11 and then to recognize that bad as that set of leaders was, and I was one of the people who was highly critical at the time – bad as that set of leaders was, this set of leaders is qualitatively worse and were there to be such an event, again god forbid, were there to be a similar event, I think it’s very likely that this set of people would go for the whole kit and caboodle, would actually try to change regime, to suspend civil rights, to blame particular citizens. That’s something which the Bush and Cheney team did not do. For all their faults, they didn’t actually say we have to have some kind of state of emergency around the country and for all their faults, and again there were many, they didn’t blame Muslims in general or any group inside the United States. We have to learn from 9/11 and get it much better next time because the leaders are, unfortunately, much worse. Jeff Schechtman: You talk about the unthinkable. What’s happened is that we constantly ratchet up what’s unthinkable and everything becomes possible at a certain point. Timothy Snyder: Yeah. That’s something that we have to watch out for. I would put that in the context of scandal. We have to wrench ourselves out of the entertainment paradigm and get ourselves back into the politics paradigm. With the scandal with Trump and Russia, what else do we need at this point? It’s already, I think by leaps and bounds, no matter what we learned henceforth, the most profoundly disturbing political scandal we’ve had in modern times. It makes Watergate look like an elementary school kid kicking a can down the road. We have a presidential candidate whose first foreign policy speech was written by someone on the Russian payroll, whose Russian advisor was on the Russia payroll, whose campaign manager was not paid by Mr. Trump, whose campaign manager had made an offer to Mr. Putin to soften up American democracy for Russian influence, whose campaign manager’s previous job as a Ukrainian kleptocrat had to flee the country during a revolution against him. We have Mr. Sessions, the highest law enforcement official in the land perjuring himself at his own confirmation hearings about contacts with Russia. Mr. Kushner doing the same for security clearance. When it turns out the contact with Russia that you omitted to mention, according to the Post reporting, was contact with a Russian ambassador in which he was seeking a private backchannel as a private citizen, which is illegal among many other things, so that they could make some kind of deal, which we would never know about with the Russians. I mean, it just keeps adding up and up and up and we need to achieve some sober point from which we can judge all of this because if we keep treating it like a reality television show, where the next thing has to be bigger than the last thing, eventually it will run out. We’ve already reached the point where it’s absurd and grotesque. So yeah, there’s a lot in what you say. Jeff Schechtman: Isn’t that the goal for them: that it does run out, that people just become satiated by it and feel the need to move on? Timothy Snyder: I think that’s their general approach to everything, but I think in this particular case, it has gotten under their skin a little bit because they know it’s true, or some variant of it is true. I think firing Mr. Comey – aside from the fact that it was unethical and it may turn out to be illegal if it’s obstruction of justice – I think it was also kind of a miscalculation. I think some of the things that Mr. Kushner has done have been miscalculations. I think this is under their skin a little bit and we see Mr. Trump’s panicked tweets about how this is the fake news and the fake news is the enemy and going back to that fake news well maybe once or twice too often. I think we have the sense that this is not just their normal tactic. Their normal tactic is, I think what you say. You just confuse and scatter. In this particular case, they seem to be desperate and they seem to think the only way we can win is by getting people convinced that journalism is fake, which is what they want to do anyway for other reasons. I see a specific concentration of panic on the Russia issue, which I don’t see other places. Jeff Schechtman: One of the things you talk about is the importance of recognizing moments. Talk a little bit about that, Tim. Timothy Snyder: Yeah. It’s kind of where history comes in. Thanks for that question. On Tyranny is a list of pieces of advice: daily practice, things that most of us can do most of the time, but where it comes from is the intuition that history can help. The intuition that we made a mistake in the last generation of setting history aside. We made a mistake of imagining that only good things could happen. We made a mistake raising the next generation to think that history was more or less going to proceed according to certain laws. What we can do with history is we can use it to recognize certain patterns and we can use history to recognize a moment. A moment where we see the outlines of things. We understand what some of the forces are and the more you see the moment, the more you also see your own place in that moment. Once you see your own place in that moment, it’s very hard to escape responsibility because you realize that what you do actually matters. Every historical moment is different, but there are also certain resemblances and we are in a certain kind of moment now. We’re in a moment where a system could change. We’re in a moment where our leader is pushing up against the walls. His personality, which I don’t imagine will change, is pushing up against the constraints of a system, which could change and whether it does change is largely up to us. Whether we like it or not, there are various ways of turning your head and looking away: talking about American exceptionalism or the institutions or whatever, but that doesn’t change the fact that we are in this moment. Those are just ways of trying to shirk the responsibility. We’re in a moment where what we do matters more than at other times and if we figure that out fast enough, then we’ll probably be okay. Jeff Schechtman: How do we recognize that moment that it’s too late, that we’ve gone over the Rubicon? Timothy Snyder: The crucial thing is not to drift and get there yourself. If you’re in a river where the current is pushing you towards a waterfall, you start swimming right away. You don’t just say; I’m going to wait until I can hear the rushing rapids or I’m going to wait until I can see the foam. You start swimming right away. The point that I would emphasize is that there is a time limit where if you do nothing, it’s going to become impossible for you to do something. Classically, that’s between one and three years out. Once you know that there is that time limit, that then becomes one more reason to start acting now because if you do act now, you make it possible that that Rubicon doesn’t arrive. That is, of course what I want. When we’re talking about historical moments and responsibility, we’re talking about our ability to actually change things so that that particular future doesn’t have to arrive. Now, I don’t mean to dodge your question. I would say for most of us, the moment where protest becomes illegal would be a big threshold. For most of us, the threshold where protest becomes potentially lethal would be a big threshold. Because we’re not there yet, it’s important for us to take advantage of the opportunities that we have now. Jeff Schechtman: Coming back a little bit to institutions, what do you see as the nexus then, with the other aspects of government? I mean, the nexus with Congress – where does Article I fit into this equation? Timothy Snyder: The checks and balances just don’t work as well as we would like. The main check on the executive is supposed to be the legislature, but in practice in the last several administrations, it’s been the party politics rather than the actual institutions which have created the friction, or the resistance. Now we’re in this odd situation, I think dangerous situation where one party controls most of the important instances of power, but doesn’t actually have a meaningful political program, at least in the traditional sense in a democratic system where you come to power with policies and those policies are popular and therefore you try to win midterm elections. What concerns me about the present setup are two things: the first is that the legislature is not monitoring the executive the way that one would expect. I personally am struck by how little attention Republicans in Congress are paying to the Russia problem. It seems to me that if there is some chance that the Head of State, the Commander in Chief, is a traitor, that one would make that the first priority, sort that out first and then move on to other priorities, regardless of your party. The second thing that concerns me is that in the middle term, when you have this setup where the executive doesn’t check the legislature and the legislature doesn’t check the executive, why then does anybody in that equation continue to care about democracy? Neither the president nor the Congress actually have policies to offer that are popular beyond a certain limited base. In a way, they’ve won when they shouldn’t have won, this goes back to your earlier question about the problems of American democracy, which include too much money in politics, gerrymandering, voter suppression laws and the electoral college, which have led us to a situation where a party which got fewer votes controls everything and doesn’t really have a program. That then creates the kinds of temptations which the founders were worried about. If you don’t really have anything to offer and you’re in power and elections are coming, why do you like elections? So, that troubles me. That troubles me rather a lot. 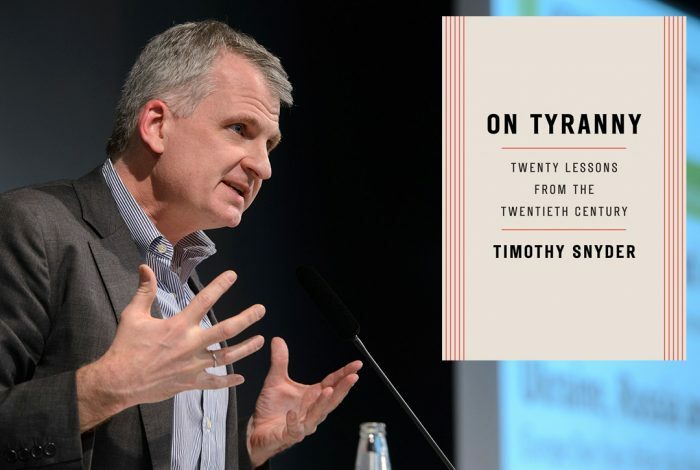 Jeff Schechtman: Timothy Snyder, his book On Tyranny: 20 Lessons from the 20th Century. Timothy, I thank you so much for spending time with us today. Timothy Snyder: It’s been my great pleasure. Thank you, Jeff. If you liked this podcast, please feel free to share and help others find it by rating and reviewing it iTunes. You can also support this podcast and all the work we do by going to WhoWhatWhy.org/donate. Related front page panorama photo credit: Adapted by WhoWhatWhy from Nazis (Logo Bundesarchiv / Wikimedia – CC BY-SA 3.0 DE).